There are a lot of aspirational applications about the blockchain and cryptocurrency. The technology is a move away from corruption and monopolies and a move towards transparency and inclusivity. 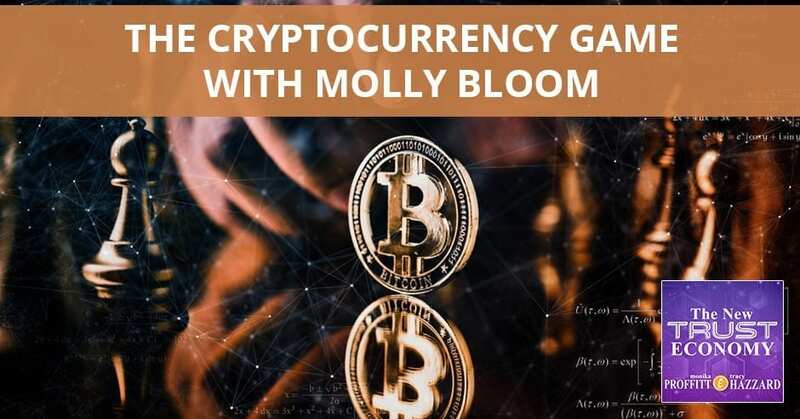 Entrepreneur, speaker, and author Molly Bloom took the cryptocurrency game and made it an art. She shares how we can gain and stay on the edge in the system. I am so excited to meet Molly Bloom. Molly’s Game, if you haven’t seen it and you haven’t read it, you should. It’s a game being in cryptocurrency. That’s why you’re here to get your talk up and to hear what you have to say about it. Sometimes when you’re looking at a game, you’re always looking at what’s the edge? That’s the age that we’d been in cryptocurrency, but it started to move out into the more mainstream and it’s starting to get more regulated. What are the risks? What are the dangers? What can they learn from you? Something that you can take away from my story is what happens with unchecked greed. Something that I like about blockchain, about the technology, is there are a lot of aspirational applications. It’s a move away from corruption and from monopolies and a move towards transparency and inclusivity. I’m all for a gamble and I’m all for financial success. In my experience, when it’s all self-interested and it’s in the service of greed, that’s when you get in trouble. There have been some arguments about that here that’s what it’s all been about. It’s all been about that edgy gambling atmosphere about it. We’re shifting into some areas in which we’ve seen some fabulous things, which we haven’t gotten to experience yet. Here at the conference of humane things that are going on in the world, parts of the world that don’t have banking for instance. Thinking about all those things, how we gain the system but how do we stay on the edge? How do we soak it up and do what you did? You took the game and made it an art. How do we do that? Number one, being able to embrace uncertainty keeps you in a position to be nimble and flexible. Number two, focusing on doing whatever you do with real conviction to having integrity and earning your wages. Try to focus on being the nicest and the hardest working person in the room. It’s a return to these values that we don’t necessarily loop into a quest for money but unchecked greed, an unchecked ambition that doesn’t seek to live in a place of integrity is dangerous. Thank you so much for sharing that with us. We appreciate it. This is Molly Bloom and Tracy Hazzard from ChainXChange.